A Risk at Worst. An Annoyance at Best. Vulnerabilities: Old software leaves the door wide open for malware. No optimization: Ancient programs often don't support Windows 10 or newer hardware, leading to freezing & crashing. A lack of new features: As programs evolve, they get new feature updates you're missing out on. A stale look & feel: Aged programs come with outdated interfaces that don't work with modern screens. Our research from more than 120 PCs worldwide shows: 52% of the most popular applications and browsers are outdated. Check out our research right here. 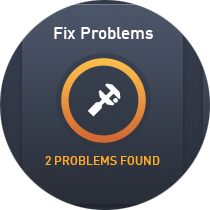 Download AVG TuneUp and click on Fix Problems. 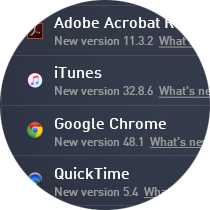 Go through the list of software updates and hit the Update button. Done? 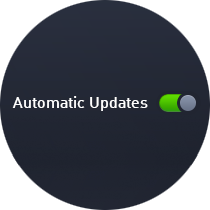 Flip the Automatic Update switch if you want to get the recent software updates silently and hassle-free.